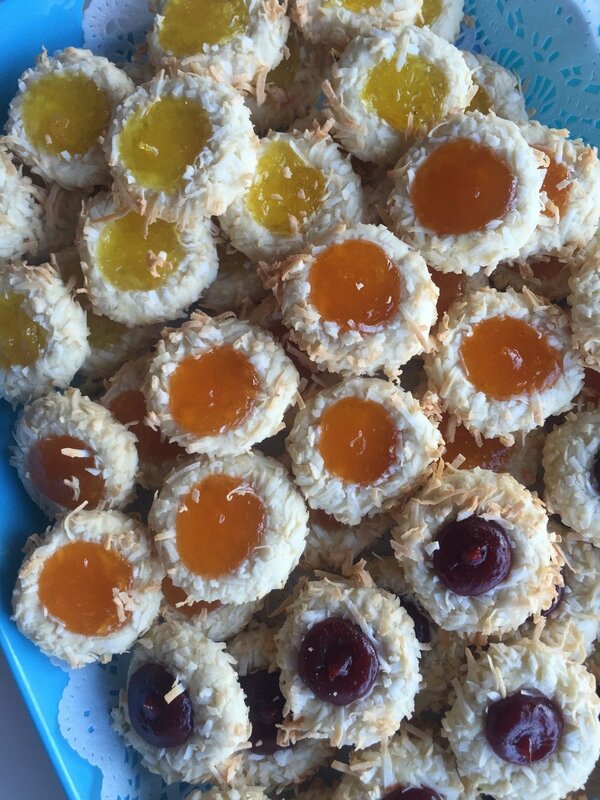 Our thumbprint cookies are always the star of our cookie trays! Now Good Housekeeping agrees! Our thumbprints are voted Best in Connecticut in their best cookies by state! In an electric mixer, cream butter and sugar until light. Add egg yolks and vanilla. Mix until blended. Add salt and flour. Mix just until incorporated. In a small bowl, beat egg whites with a fork. Place chopped nuts in a separate bowl. Dip balls into egg whites and then roll into nuts. Place balls onto a parchment lined cookie sheet spacing each about 2-inches apart. Gently press the tops of balls to flatten slightly. With your index finger, ( or thumb!) make a hole in the center of each cookie. Spoon or pastry bag about ½ teaspoon of jelly into the holes.